Sometimes you feel like you gotta have a cookie and nothing store made will do. 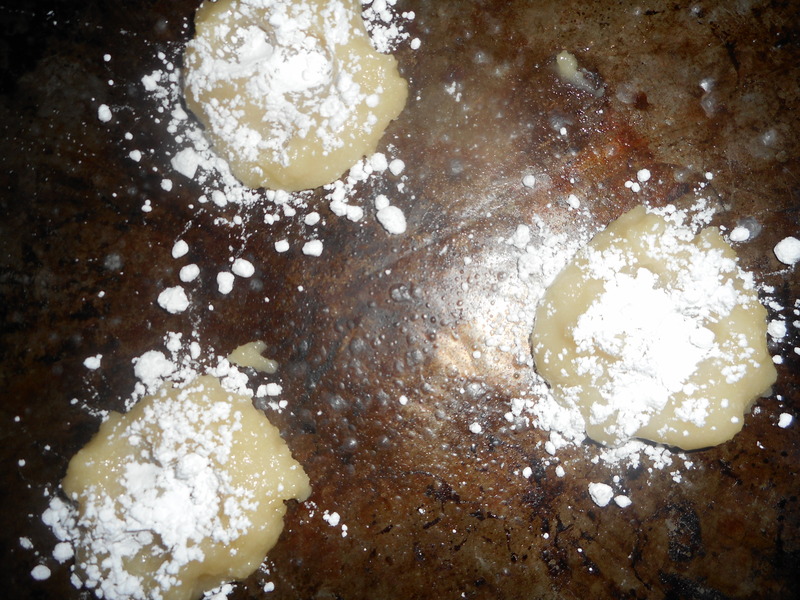 This basic recipe from the King Arthur website will show you how easy it is to make scrumptious gluten free cookies; these are flour free; made with almond paste, sugar, egg whites, almond extract and some powdered sugar. So simple even a 7 year old can make them. No fancy molding, shaping or rolling out. No tricky flours to mix, no meringue to whip. Simple blending, measure it with your tablespoon; shape quickly by pressing with three finger tips and bake. 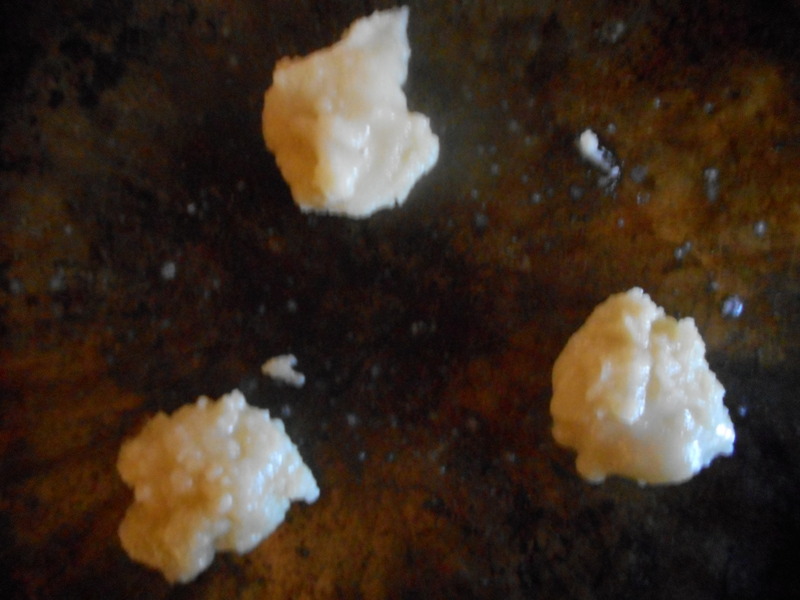 The cookie dough spreads out as it bakes so don’t worry if it looks like an artless clump on your baking sheet. It will flatten and round into an attractive cookie. 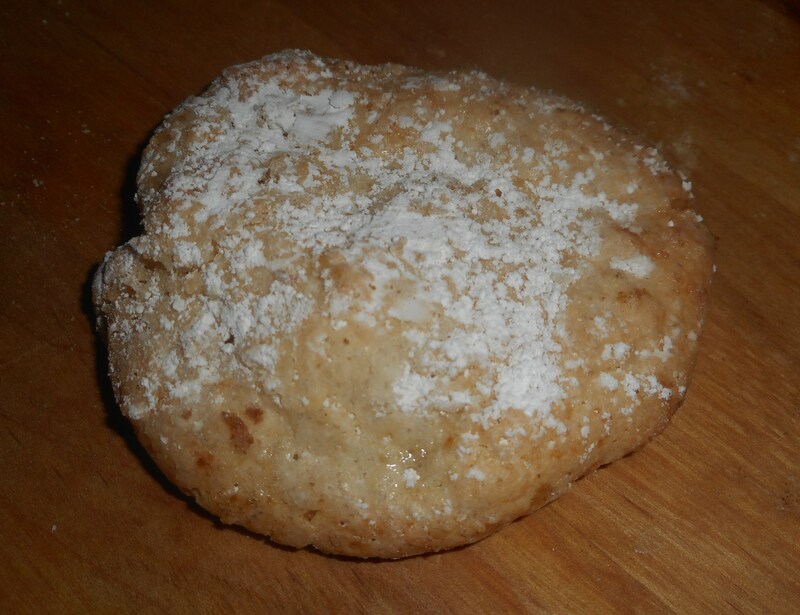 Almond cloud cookies have a delicate crunch to them, deeply almond in flavor. 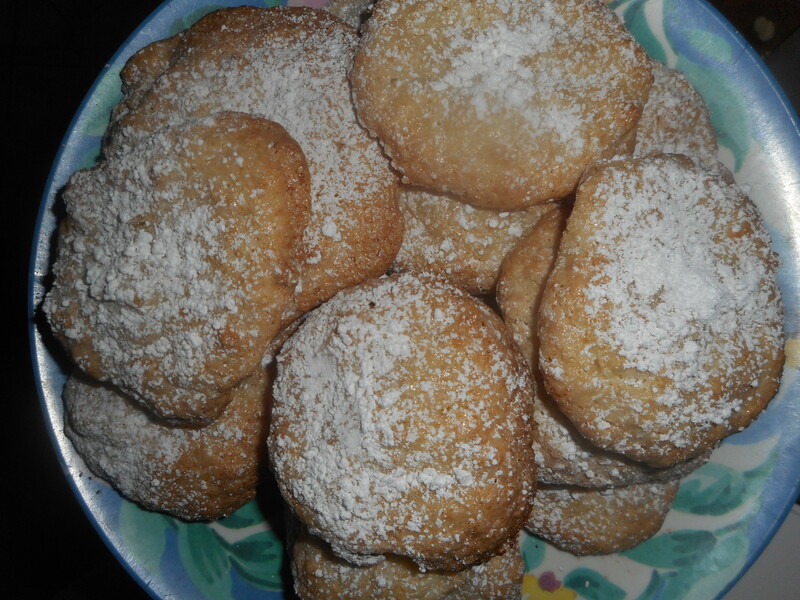 They look very pretty with the powdered sugar on top. I find them somewhat addictive; can’t eat just one cookie. 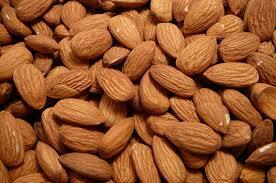 Yes….an almond cloud is a very descriptive name for these delightful treats. I used ¾ cup white sugar and they were quite sweet enough for me. 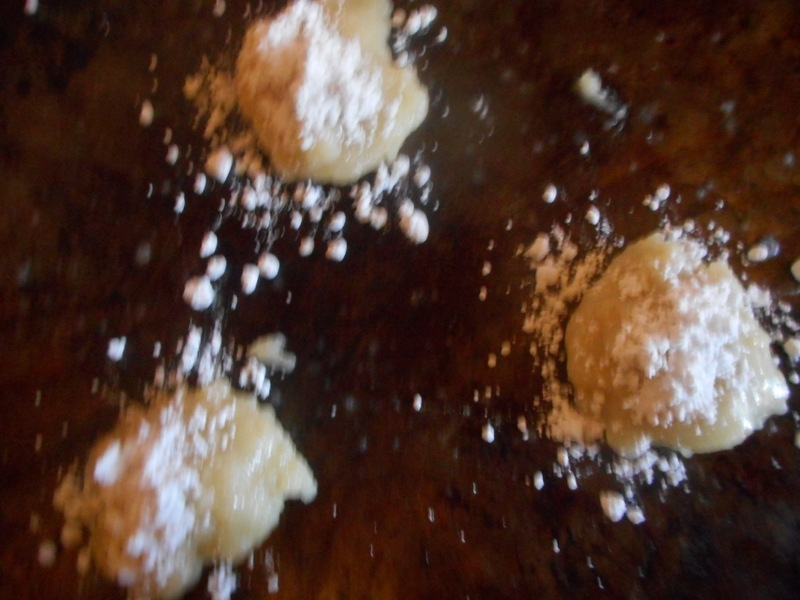 I also sprinkled the baked cookies with sifted powdered sugar after they came out and cooled a minute or two right on the baking sheet. Don’t leave them there more than a couple more minutes or they will be hard to lift off the baking sheet. If you are more cautious in your use of sugar leave that stop off. 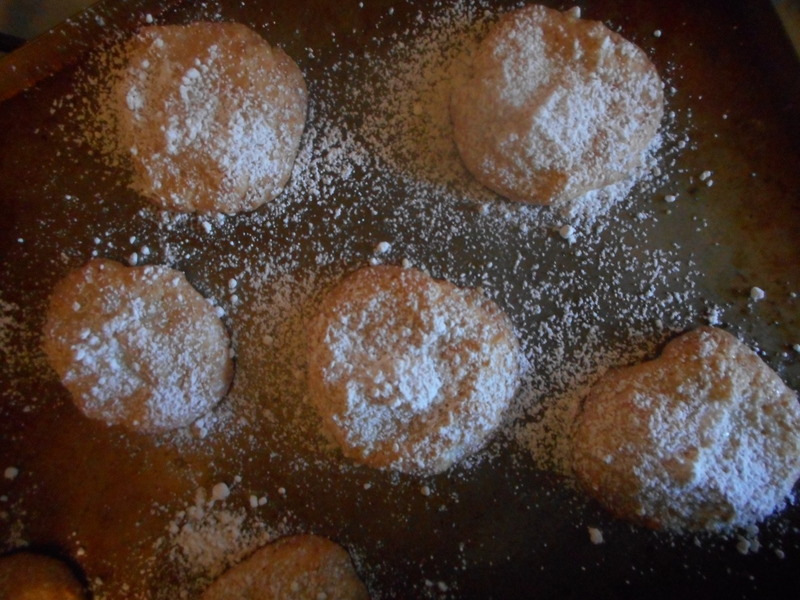 I cut the sugar down in the dough to 3/4 cup but did sift some powdered sugar on top; makes the cookies even more attractive. Almond cloud cookies makes about 21 cookies. Lightly grease (or line with parchment) two rimmed baking sheets. Stir in the flavorings. 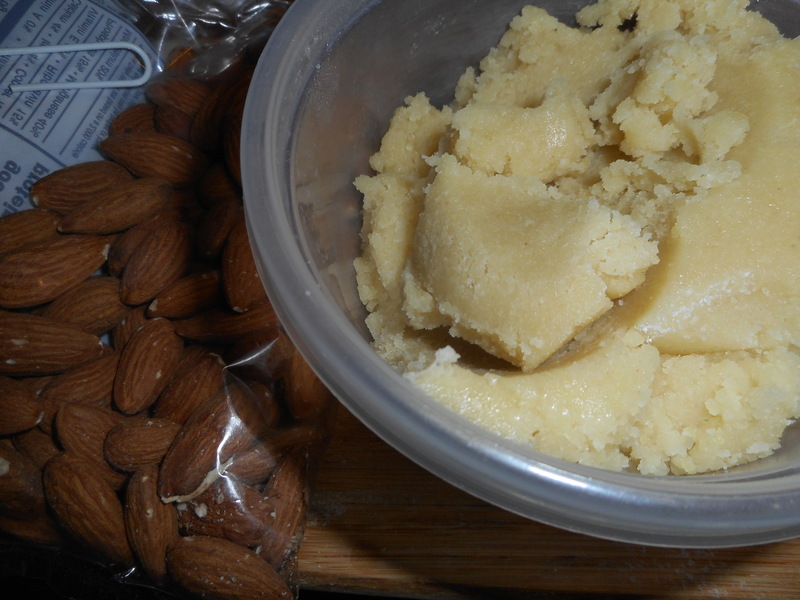 I left out the almond oil; didn’t have any; fine without it. Scoop the dough by heaping tablespoons onto the prepared pans. I did eight to a pan. Sprinkle the cookies heavily with confectioners’ sugar, then use three fingers to press an indentation into the center of each cookie. Bake the cookies for 20 to 25 minutes, until they’re brown around the edges. Remove them from the oven, and let them cool right on the pan for 4-5 minutes. I froze some and stored some in my cookie jar. They stayed a bit soft making them easy to enjoy a couple days later…I was afraid that they would become tooth breakers upon sitting a while. Nope…still perfect. Get your cookie with these charmers…you won’t regret it.